Click here for Leica cameras. 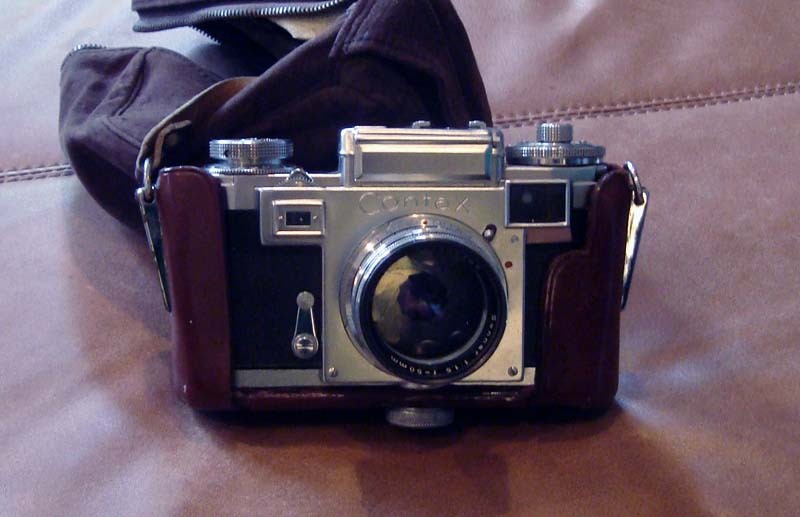 Contax started building its cameras in 1932 using the best German optical and mechanical technologies. Its factories were in Dresden and Jena. Contax cameras were technically ahead of Leica brands. However, both Dresden and Jena were occupied by Soviet troops in 1945 and became East German cities. Soviets took much of the Contax facilities to the Soviet Union to reinforce their camera industry. Yet, Germans worked hard to rebuild their Contax empire separately in Dresden (East Germany) and in Stuttgart (West Germany). Stuttgart was and still an industrial city producing Benz cars. This city had enough industrial resources to build quickly a Contax factory. In Dresden, even under the Communist rule, those diligent German's were able to reconstruct the Contax factories. Thanks to Willy Brandt's Ostpolitik in 1970, East Germans were able to export their industrial products to the Western world. The Contax cameras from Dresden were available in camera stores in the United States as well as in all European countries. Contax IIIa (made in Stuttgart, West Germany). This Contax model seriously challenged Leica's dominance in the camera market in the 1950s. Japanese started started marketing their cameras to the world only after 1960. This Contax camera was technologically ahead of their Leica counterparts. It has a built-in light meter without battery. Cesium emits enough photo-electrons to mode the meter needle. At that time, it was unthinkable to attach bulky batteries to cameras. Contax was also the first one to use coated optics for color photography. Its lenses were manufactured by Carl Zeiss which is still regarded as the No. 1 lens company in the world. These days, Sony sells some of its digital cameras with Carl Zeiss lenses. Unfortunately this camera is not mine. One of my friends told me he also has a Leica camera when I was bragging about my Leica. He showed this camera to me. I told him this is a Contax, not Leica. I of course told him his Contax is better than any of the Leica models in the 1950s. This was even true. 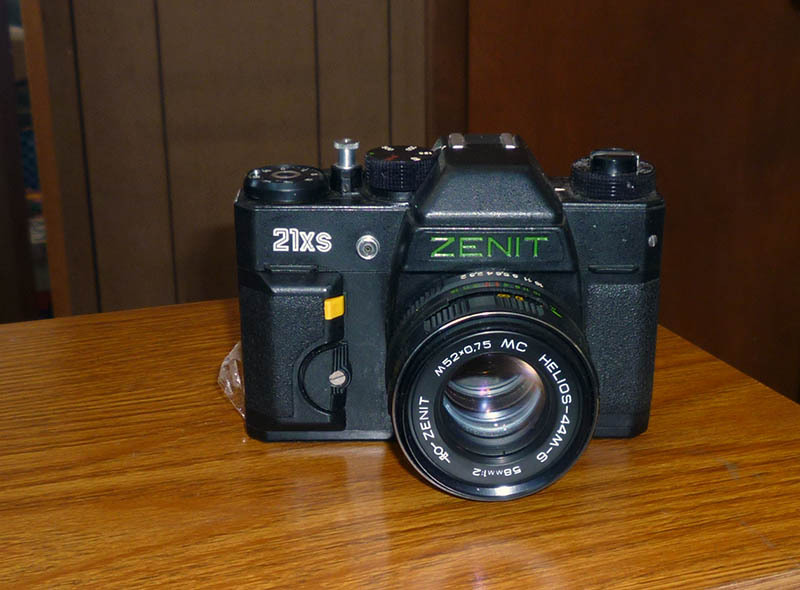 Contax (from Dresden) and Zenit (from Minsk). If they look alike, there is a good reason. 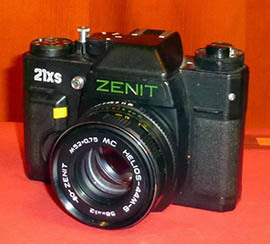 After 1945, Russians took Contax factories to the territories of the Soviet Union in order to enhance their camera industry. Contax SLR (made in Dresden, East Germany). This is the Contax camera I almost bought. I like Contax cameras because they carry lenses made by Carl Zeiss. Zeiss lenses are still regarded as better than those for Leica cameras. Thus, Contax owners used to bragg about their cameras. However, I did not buy this camera for the following reasons. 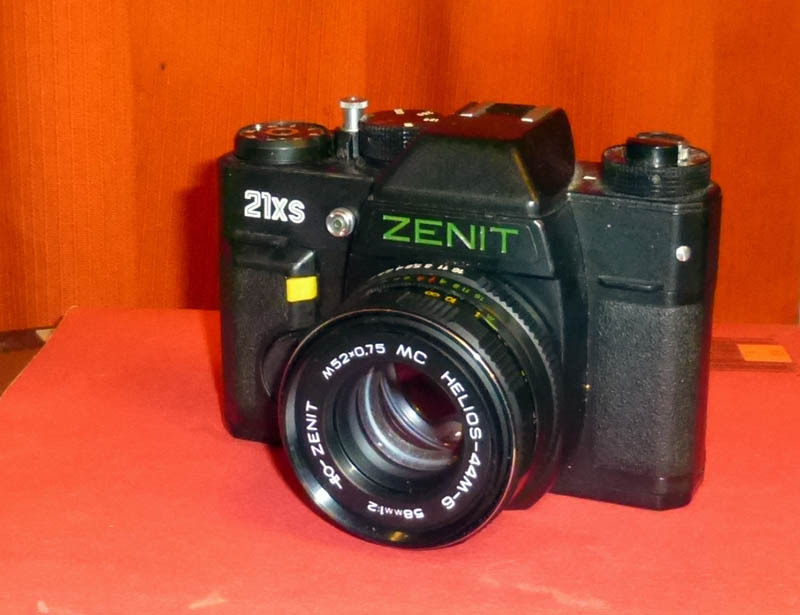 This camera was strikingly similar to the Zenit Russian camera which I bought in Minsk (Belarus). Yes, Russians took much of Contax dedigns and technolgies to their country after World War II. If these two cameras are similar, there is a good reason. The camera industry started poducing high-density film cameras, called APS cameras. I forgot what APS meant. Digital cameras were still beyond imagination in the 1990s. After 1990, I started travelling around the world. I needed small pocket cameras. By 1990, the camera industry developed auto-focusing system, and started producing aim-and-shoot pocket cameras. They were inexpensive and easy to carry around. They were very convenient for travellers. Neither Leica nor Contax was producing those convenient cameras. On the other hand, Contax was cooperating with Japan's Kyocera company which used to produce Yashica cameras. I bought one of those Yashica cameras and took many photos while travelling around European countries. Indeed, many of the photos on my web site were taken with this Yashica aim-and-shoot camera. Alas, Contax and Kyocera broke up after cameras became digital. 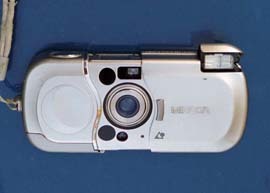 Kyocera could not produce digital cameras. 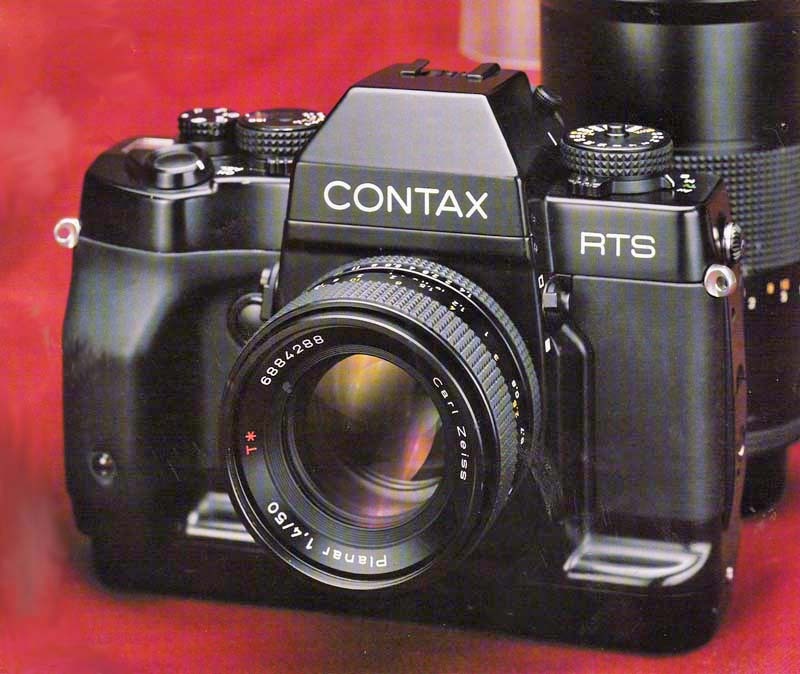 Sony was quick to pick up the lens system of Contax, and there are Sony cameras with Carl Zeiss lenses. Thus, the best way to insist on the Contax tradition is to carry Sony cameras with those Zeiss lenses. 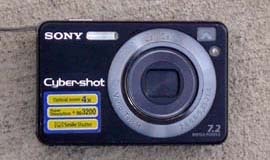 Sony Cyber-shot W-7. Sony was somewhat late in camera industry. It needed a prestigious name for its lenses. It decided to equip their digital with Carl Zeiss lenses which used to be on Contax cameras. 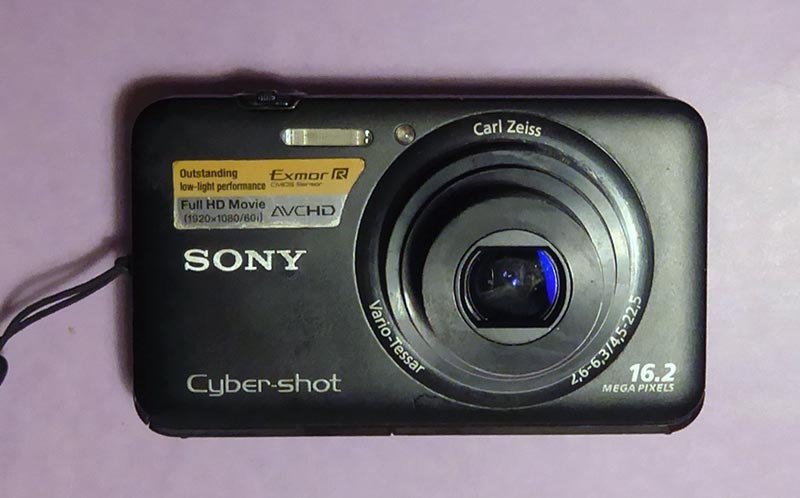 I bought this Sony camera because, in addition to its Carl Zeiss lens, it could be powered by two AA batteries. Even in 2005, rechargeable batteries did not last long. Thus, for extended trips, I had to carry this camera which accepts batteries locally available. In addition, it has an optical view finder. In 2005, I carried this camera when I went to the Russian city of Kaliningrad in order to study Einstein's philosophical background. I created a webpage based on the photos I took there. You are invited to this page. with Zeiss lens and a memory stick (top), with Zeiss lens and a SD card (bottom). 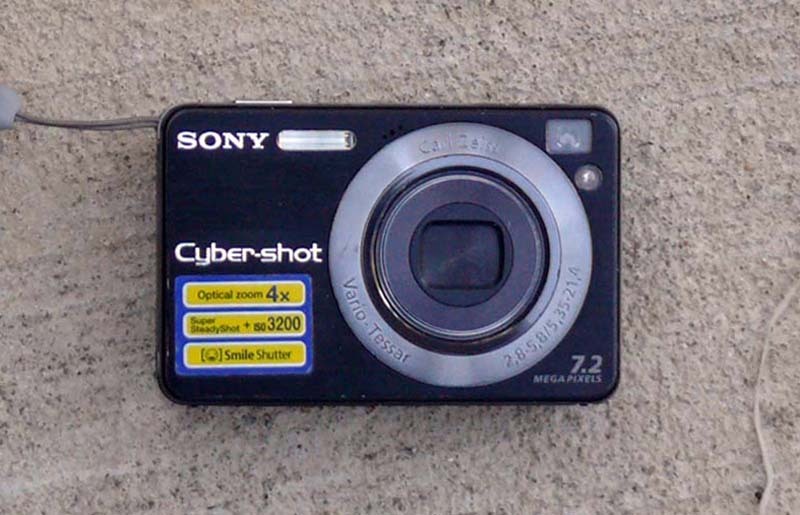 Sony Cyber-shot W-120. 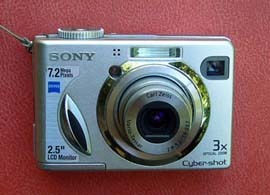 This is one of the current versions in Sony's Cyber-shot series, with all the advanced technical features. It also has an optical view finder, but does not take AA batteries. But camera batteries are now much more powerful. This is a very convenient pocket camera for travellers. 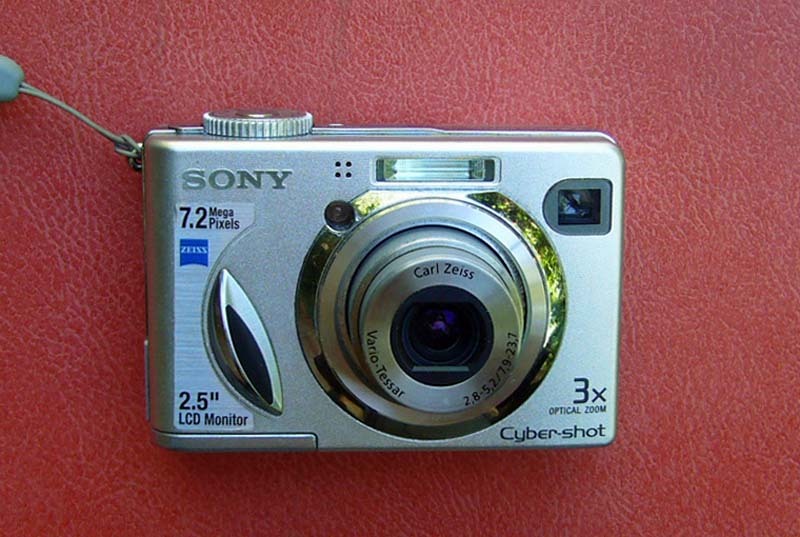 However, the Sony cameras use their own memory sticks which cannot be inserted into laptop computers. Laptops accept only SD cards. Sony realized this problem and started making new models with SD cards. 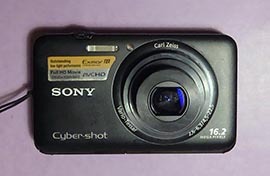 Sony Cyber-shot WX-9. Indeed, this model addresses this problem, and this model used the SD card. Furthermore, the battery can be recharged through a USB cable from the laptop. This camera is thus quite compatible with travellers. Some Sony cameras come with Carl Zeiss lenses, and some with their own Sony lenses. I always choose those with Zeiss lenses. Sony is OK in electronics. These days, Samsung seems to be expanding its camera market share. I may eventually have to buy one of the Samsung models, but I do not know when. Yashica. For about 15 years, Contax was marketing Contax cameras through Japan's Kyocera company. 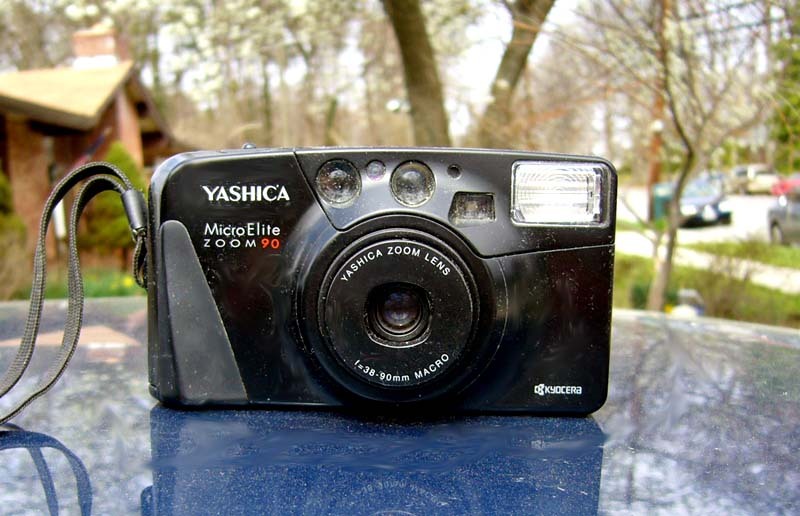 Kyocera used to make its own brand called Yashica. 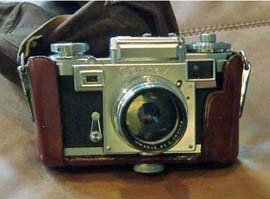 Yashica did not reach the level of Canon or Nikon in the camera market, but it used to produce fine practical cameras. The Yashica camera was developed initially by the Seiko watch company. 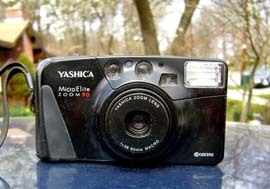 I used to bring this Yashica camera whenever I traveled to foreign countries until 2001. My website contains many photos I took with this Yashica camera. 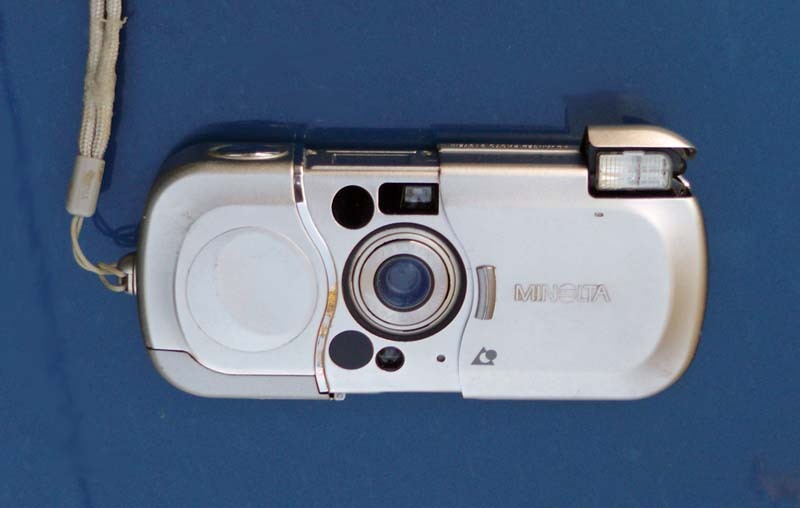 Minolta APS. Before digital cameras became popular, Kodak started marketing high-density films called APS (Advanced Photo System) films. Indeed, APS photos give better webpages, and many of the photos in my website came from photos from this Minolta APS camera. Unfortunately, the APS system could not survive in the digital age. These days, Minolta factories are making Sony digital cameras. I went to the Nice Beach (Cote d'Azur) in southern France with my Minolta APS in 2002, and went there again in 2006 with Sony Cybershot W-7. I took pictures there. Here are some of them. Click here for my Leica cameras. Click here for his home page. or click here for his style page.